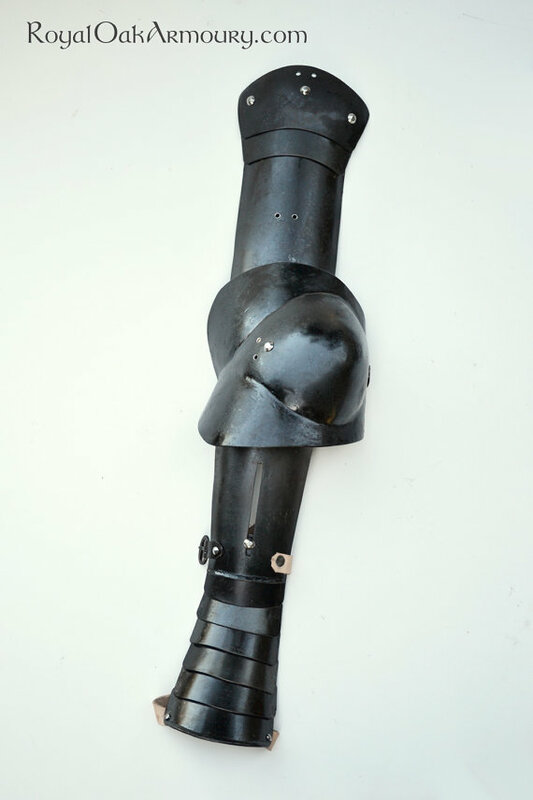 Size adjustable arms splints are a distinctive feature of 16th C Almain rivet munitions armour, and are often depicted in association with colourful Landsknecht costumes. 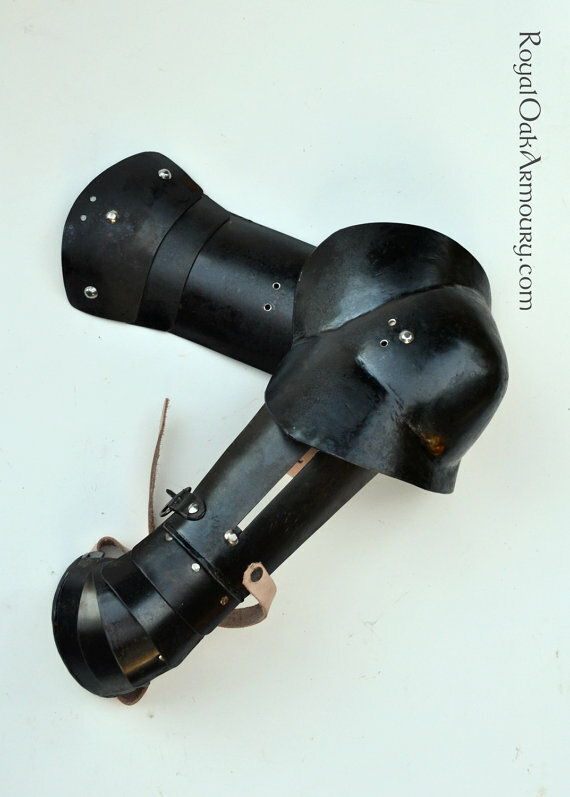 The arm splints feature an integral gauntlet assembly, which runs in a slot on the vambrace for a wide range of size adjustment and mobility. The individual components of the splints articulate on internal leathers, and the splints are fastened to the wearer with hand-made buckles at wrist and elbow, and with arming points at the shoulder. Despite the many corners cut in the production of early mass-produced armour, these arm splints function and protect remarkably well. We would be happy to produce arm splints based on any extant or depicted historical source, in addition to the pattern depicted above. Our default finish is a satin polish, but a burnt-on linseed oil finish is available at extra cost. Price is per pair.